Thousands of reports on facilities dealing with animals were taken down from the United States Department of Agriculture website on Feb. 3, 2017. The reports detailed inspections of operations regulated under the Animal Welfare Act or the Horse Protection Act, as well as the crimes and the legal enforcement actions taken against those who have violated the laws. The removal of these documents from the public was met with consternation and protest from those who must operate under the rules. Advocates for animal rights, as well as those looking for or selling pets, have long relied on this information to research puppy mills and abusive breeders. In seven states, where there is no lower regulatory presence, these reports have been the sole source of such data. "What the USDA has done is given cover to people who neglect or harm animals and get cited by USDA inspectors," John Goodwin, head of the Stop Puppy Mills Campaign at The Humane Society of the United States, told US News. "The public is no longer going to know which commercial dog breeders, horse trainers, which zoos, which research labs have horrible animal welfare track records." Those responsible for enforcing animal welfare laws will have a harder time doing so without access to the data as well. Local regulations dealing with animals, or bans on breeders, may be impossible to enforce altogether. The only information currently accessible on the USDA's APHIS — Animal Care website is a short message affirming the department's "commitment to being transparent, remaining responsive to our stakeholders' informational needs, and maintaining the privacy rights of individuals." But what about the rights of animals to live free from abuse? "The citizens of the United States deserve to see that information," Dan Ashe, head of the Association of Zoos and Aquariums and the former director of the U.S. Fish and Wildlife Service, told National Geographic. He maintains that USDA's actions are "not in the interest of credible, legitimate animal care facilities. What [the action] does is it erodes public confidence, because when people see something like that, they're inclined, rightfully, to think that the government is trying to shield something from their view." The USDA claims that the records have been taken down as a matter of "maintaining the privacy rights of individuals," but it's clear the welfare of animals is at risk as result of that action. 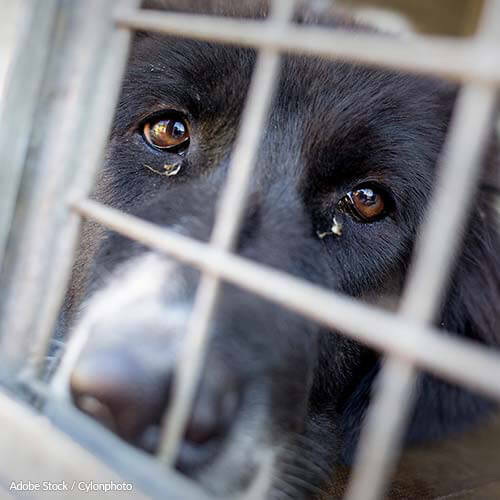 Tell the head of the USDA to restore public access to all animal welfare information immediately! The USDA's decision to block the public from its database of animal welfare reports must be reversed. The department cannot be transparent with these short-sighted actions, and the citizens of the United States demand you restore the information now. Advocates for animal rights, as well as those looking for or selling pets, have long relied on this information to research puppy mills and abusive breeders. In seven states, where there is no lower regulatory presence, these reports have been the sole source of such data. The agents responsible for enforcing animal welfare laws will have a harder time doing so without access to the data, as well. Local regulations dealing with animals, or bans on breeders, may be impossible to enforce altogether. There is no reason this information should be obfuscated as a result of private interests. It belongs in the public domain, as experts and members of nearly every level of government have asserted. Secretary, you would do well to consider the legal action currently facing the USDA, as initiated by the Humane Society of the Unites States. The betrayal of the settlement made in 2009, when those documents were made public, will not go down without a tremendous fight. I demand you restore public access to the USDA's animal welfare information immediately. After protests over the deletion of thousands of animal welfare records from the U.S. Department of Agriculture database reached the highest levels of government, the department has restored a small number of annual reports and inspection data. But the vast majority of the database is still missing. Keep up the pressure on the USDA to restore the ENTIRE database! Sign now! That's 18,412 signatures! Let's keep the ball rolling.